Vertigo may occur for various reasons and may vary in different degrees – from dizziness to complete loss of person’s ability to move. In some severe cases, people can’t control their legs, hands and they feel their entire bodyunbalanced. The objects around them”rotate” in front of their eyes, the space begins to move, swing and distort. There may also be adeceptive feeling ofspecific movements in the person himself – a feeling that he is elevating or falling. In any case, this condition hides the risk of falling, as this may cause injuries, including of the head, which is very dangerous. In some cases, vertigo is caused by neurological diseases due todegenerative changes in the cervical vertebra or due to medications. It also may accompany migraine,may be caused by anemia, by low blood pressure, bleeding or by blocked or narrowed artery, which reduced the blood flow to the brain. In other cases, vertigo is associated with eye diseases, inflammations of the inner ear, low blood sugar or dehydration. Many people who suffer from vertigo, feel dizzy when they travel by bus or car, especially if the road isnot in a good condition, with many turns or upon changes in the altitude. In such cases, it is recommended the person to travel in the front seat, to make frequent stops and to spray its face with cold water. Vertigo may be caused also by external factors –sudden changes in the temperature, atmospheric pressure, strong wind and so on. 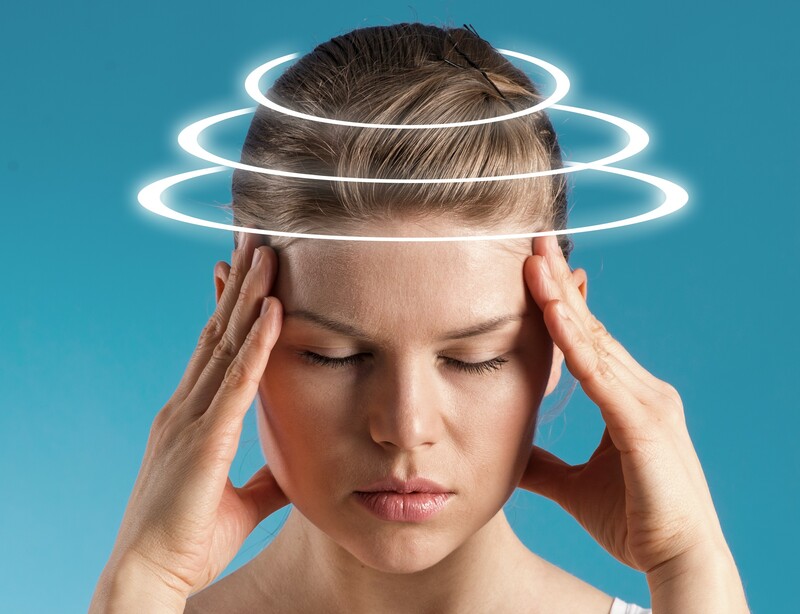 The causes of vertigo may be various, so even if the condition is of short duration and doesn’t appear regularly, the person should consult with a physician, because the dizziness may be indicative of a serious pathology that has begun. According to Ayurveda, vertigo is a result of an imbalance in two of the three vital energies – Vata and Pitta. Together with Kapha they carry out the processes in the body. Nature sets each one of these energies – Doshas in a unique proportions. In this equilibrium everything in the body functions optimally and diseases don’t occur. When a Dosha goes out of balance, it causes disturbance in the functions of specific organs and this leads to diseases. Moreover, very often this causes disturbances in the other two energies, therefore the diseases become more. 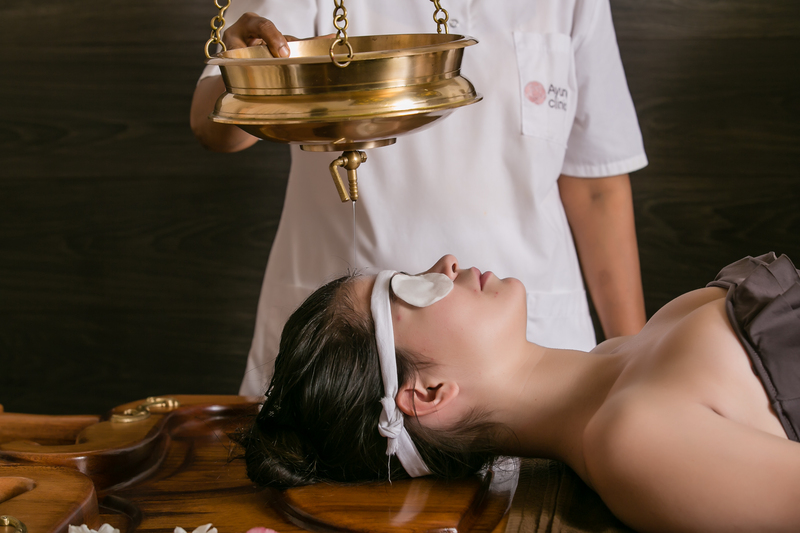 The Ayurveda treatmentincludes the restoration of the energy balance of the Doshas, which recovers the optimal function of the organism. This is done through proper nutrition, herbal remedies, natural oils, various procedures and therapies such aspouring, rubbing and massages with oils, laxatives and cleansing remedies, yoga. Conditional reflexes and so on, including the flow of the Vata energy itself and of the other two energies. It is directly related to the so-called “objective” vertigo – everything in the environment is rotating. Vata may be increased due to deviations in Pitta that have entered the nervous system. When there is animbalance in Pitta, which is responsible for the transformations and for the metabolism, there is a feelng that our body staggers, falls down or elevates. 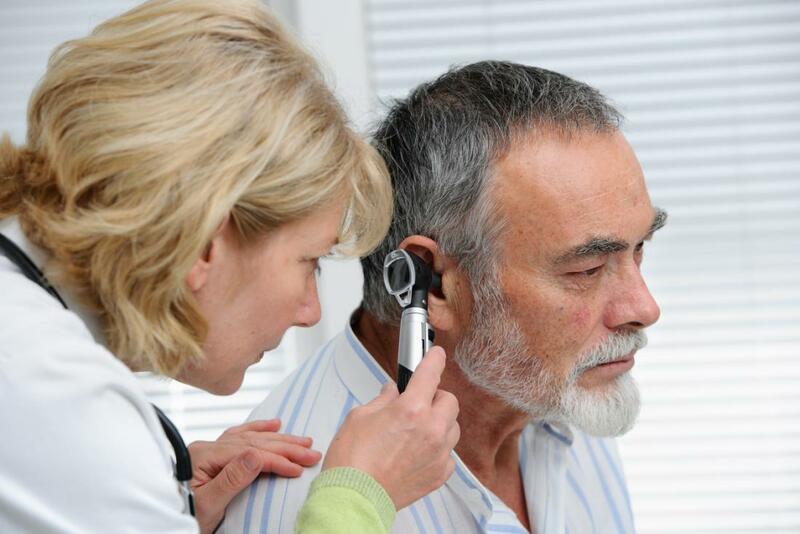 Usually the causes of the dizziness are both due to Vata and Pitta, and the diagnostics have to be performed by a specialist in order the proper treatment to be prescribed. Generally, the food that is suitable to soothe Vata should be absorbed easily, it must be fluid and warm, the suitable tastes are salty, sweet and bitter, as the other tastes must be avoided. To balance the energy are used cardamom, cinnamon, cumin, dill, ginger and so on. The suitable oils are ghee, coconut oil, sesame oil, mustard oil and others. The suitable foods for Pitta are the cold, fluid and refreshing ones. Bitter and astringent tastes are a good choice. Widely used tobalance Pitta are thetriphala, neem, aloe, katuka and so on.